Notes: Architects: Henry Pettit & Joseph M. Wilson. Notes: Date photo taken: August 6, 1875. 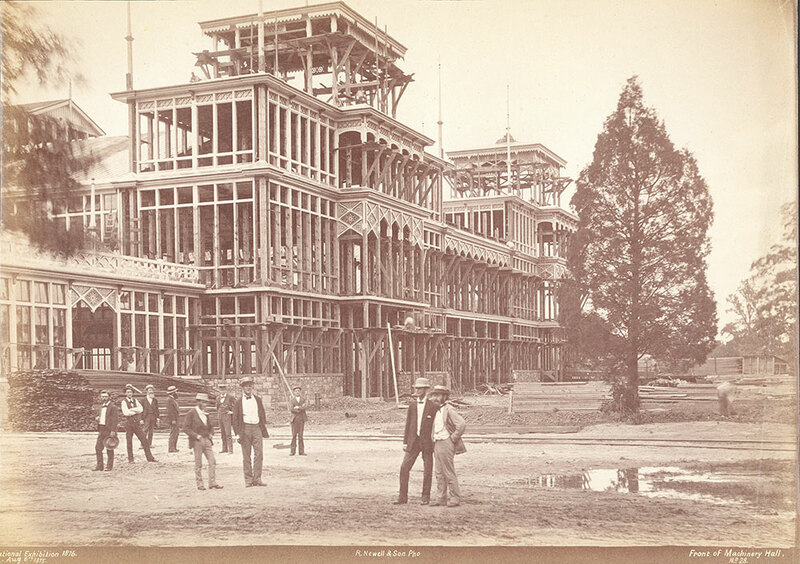 Notes: Machinery Hall during construction. Frame of building is finished. Men standing in front. Also visible is a pile of lumber and railroad tracks.